SC Freiburg coach Christian Streich is expected to name the same side that beat FC Ingolstadt 04 2-1 before the winter break. Midfielder Amir Abrashi left the club’s winter training camp early with a suspected ankle injury but has been cleared to return to training, although he is unlikely to feature. Forward Nils Petersen and winger Onur Bulut could also return to the side, but defender Caglar Söyüncü is doubtful with adductor complaints. Visitors FC Bayern München have an almost full squad to pick from as they aim to begin the new year as they ended 2016 after a 3-0 win over RB Leipzig in their final game before the winter break. Arjen Robben is expected to feature following his contract extension earlier in the week, but Kinglsey Coman will not be fit enough for this game. 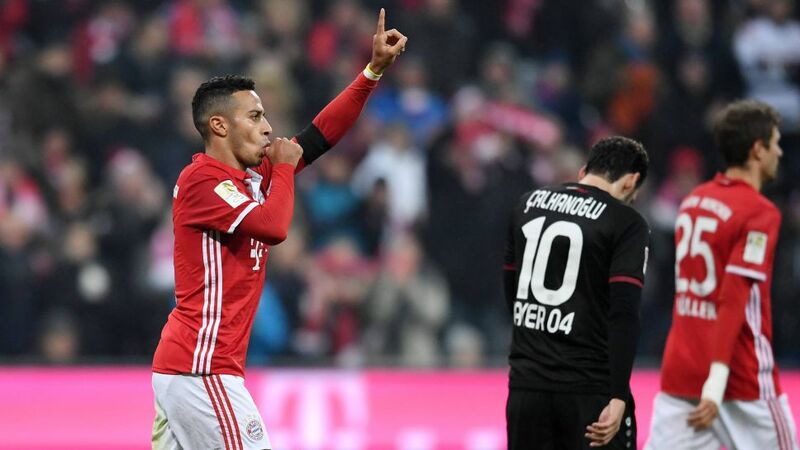 Thiago (thigh) and Jerome Boating (shoulder) are definitely out for the record champions, with the former’s absence opening up a space in midfield, which the versatile Joshua Kimmich is expected to fill, especially as Arturo Vidal is rated doubtful with a rib injury. Carlo Ancelotti could, however, restore Thomas Müller to the starting XI in a 4-2-3-1 formation, behind top scorer Robert Lewandowski. SC Freiburg host FC Bayern München at the Schwarzwald-Stadion, with the game kicking off at 20:30CET/19:30GMT on Friday 20 January.